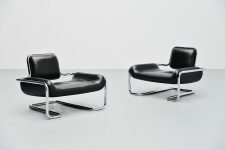 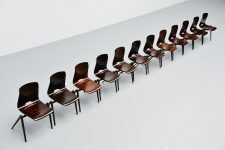 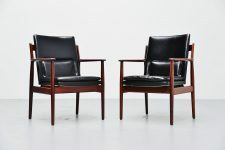 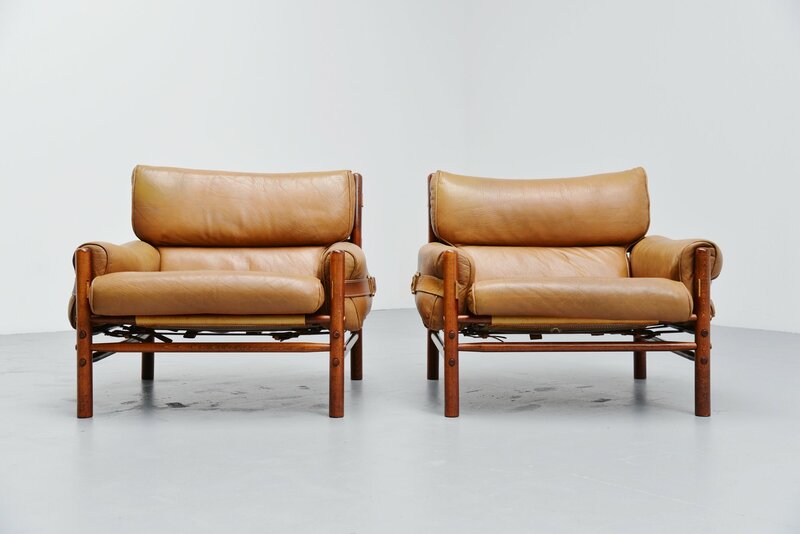 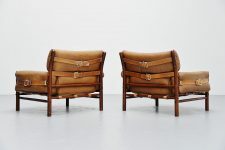 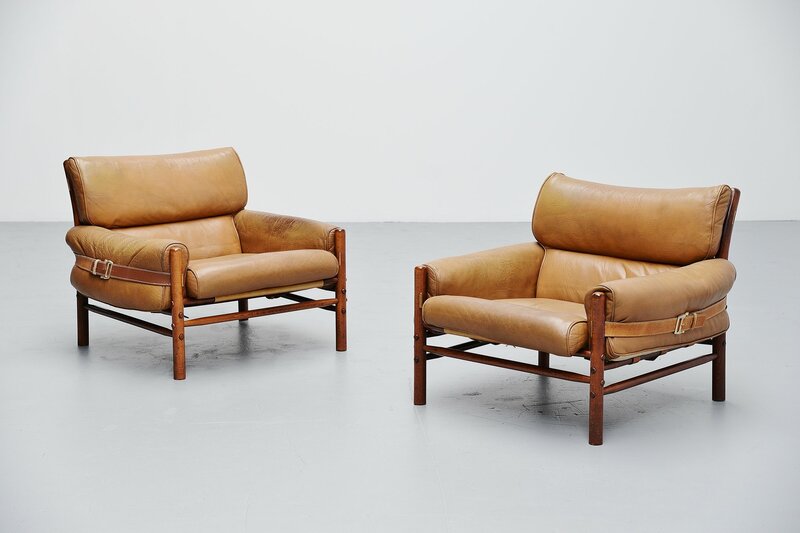 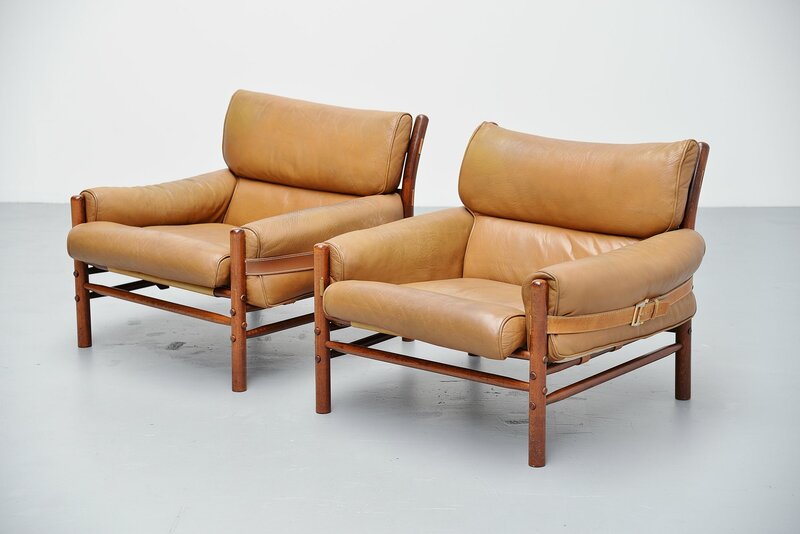 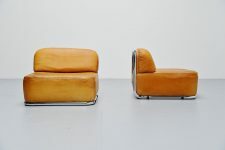 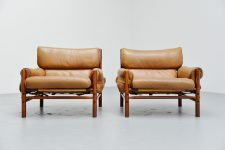 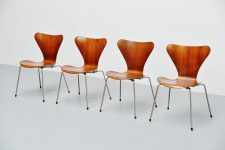 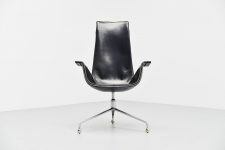 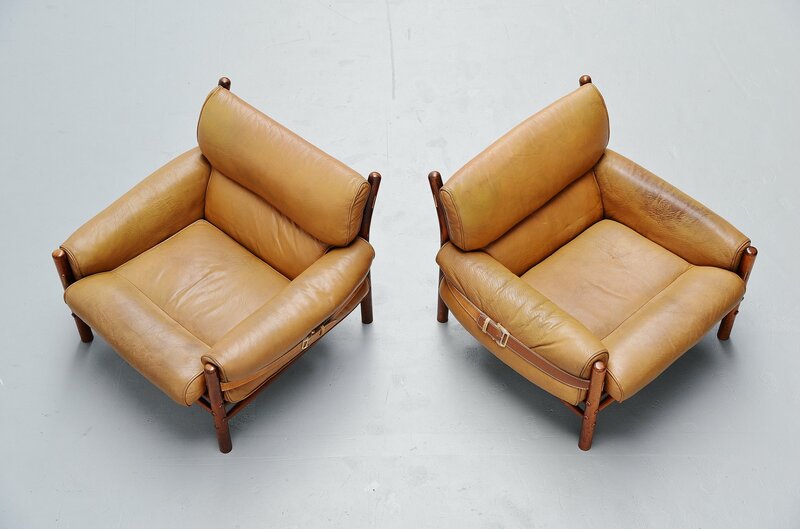 Comfortable pair of leather lounge chairs designed by Arne Norell, manufactured by Norell AB, Sweden 1960. 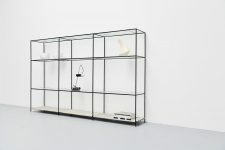 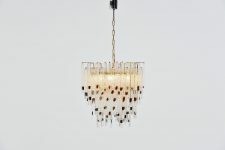 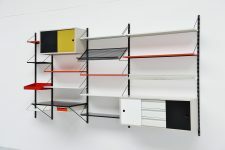 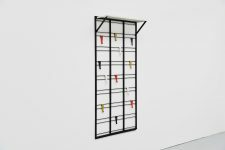 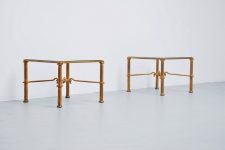 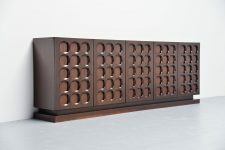 This has a dark stained beech wooden frame, easy to completely disassemble. 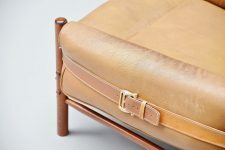 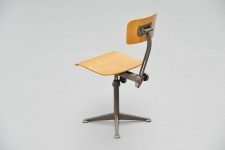 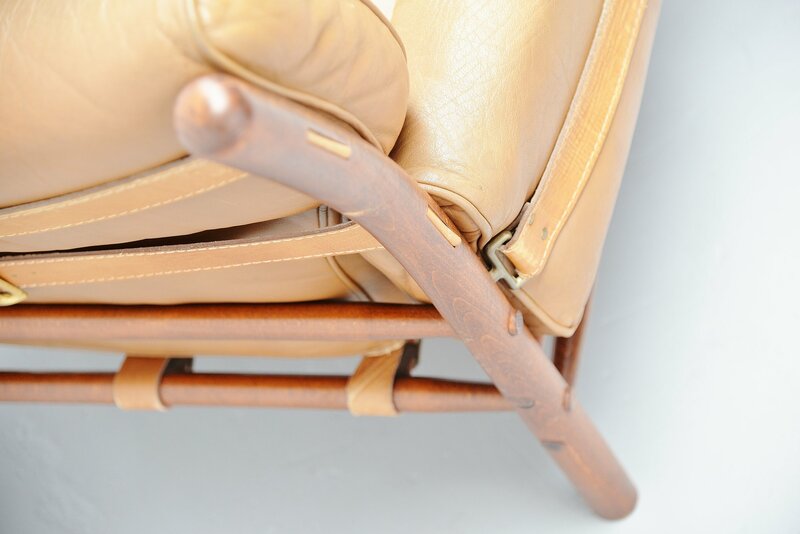 The chair is held together by the seat that was strapped with leather belts. 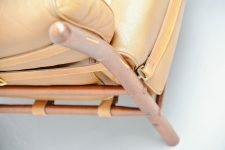 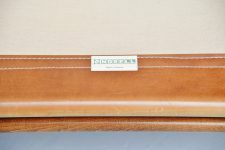 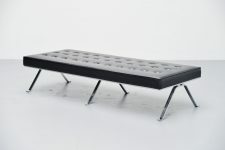 The leather cushions are made of high quality leather and are in very nice condition with patina to the leather but not tears or holes to it. 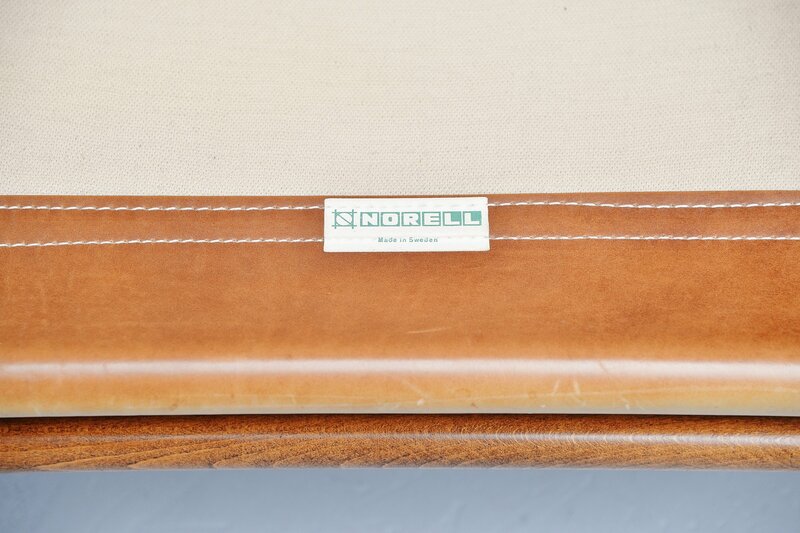 The chair is marked underneath the seat with the Arne Norell sticker. 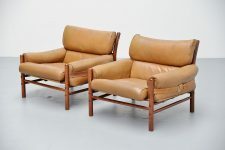 Comfortable and high quality lounge chair set.